Marcus Aurelius Probus Augustus was Roman Emperor from 276 to 282. During his reign, the Rhine and Danube frontier was strengthened after successful wars against several Germanic tribes such as the Goths, Alamanni, Longiones, Franks, Burgundians, and Vandals. 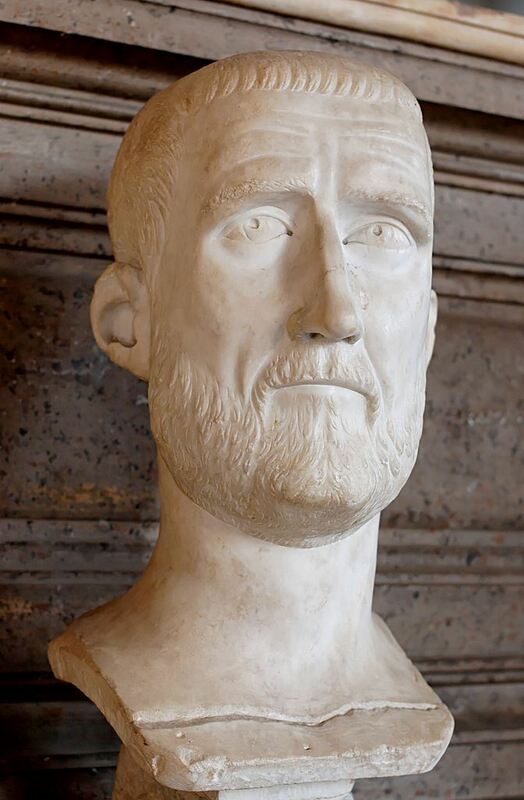 According to Joannes Zonaras, in 282 the commander of the Praetorian Guard Marcus Aurelius Carus was proclaimed, more or less unwillingly, emperor by his troops. Obverse: IMP CM AVR PROBVS PF AVG, radiate, draped, cuirassed bust right. Reverse: CLEMENTIA TEMP, Emperor standing right, holding sceptre and receiving Victory from Jupiter, standing left, holding sceptre. Ref: RIC V-2 Antioch 922; Sear 11961. Obverse: IMP PROBVS PF AVG, radiate, cuirassed bust right. Reverse: IOVI CONS AVG, Jupiter standing left, holding thunderbolt and sceptre. Ref: RIC V-2 Rome 172. Scarce. Reverse: FIDES MILIT, Fides standing, holding sceptre and transverse ensign. Mintmark XXIE. Reverse: CLEMENTIA TEMP / Emperor standing right, holding sceptre, receiving Victory on globe from Jupiter standing left, holding sceptre. XXI in exergue. Δ in lower middle field.